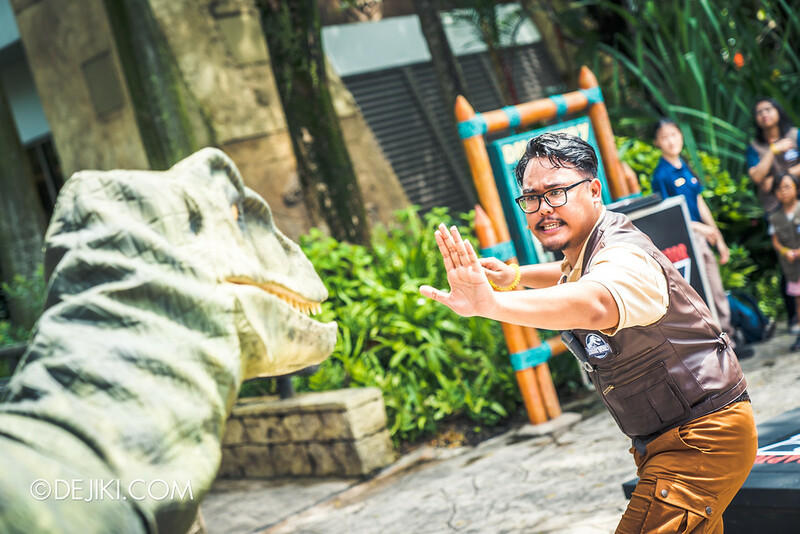 Experience an immersive world of dinosaurs at Universal Studios Singapore’s Jurassic World: Explore & Roar event. 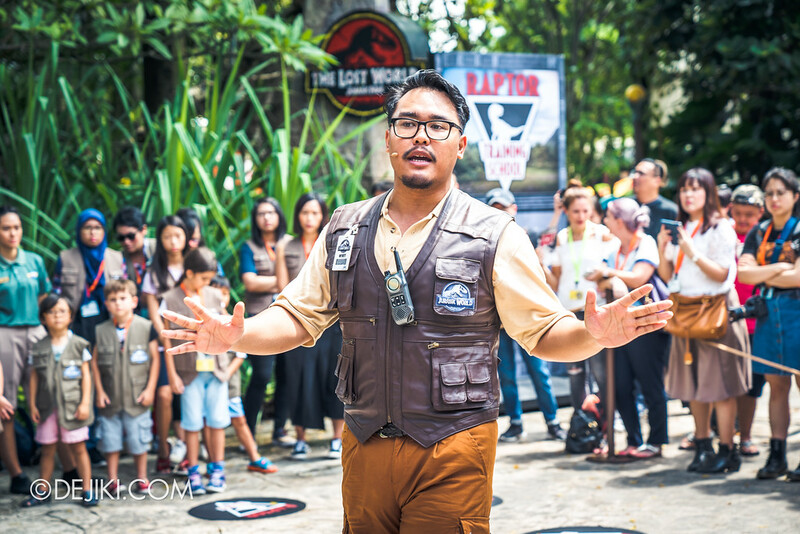 From 2 June – 22 August 2018, Universal Studios Singapore will be holding their first ever dinosaur-themed event – Jurassic World: Explore & Roar. 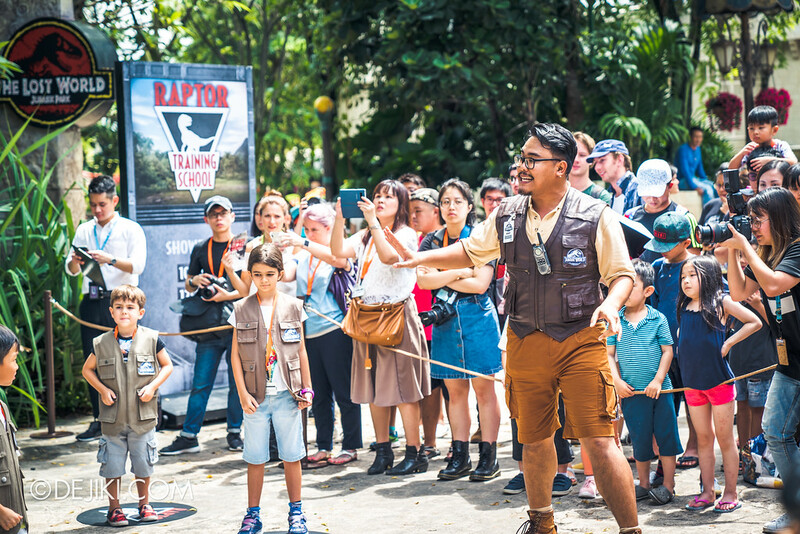 This event is open to all park visitors. 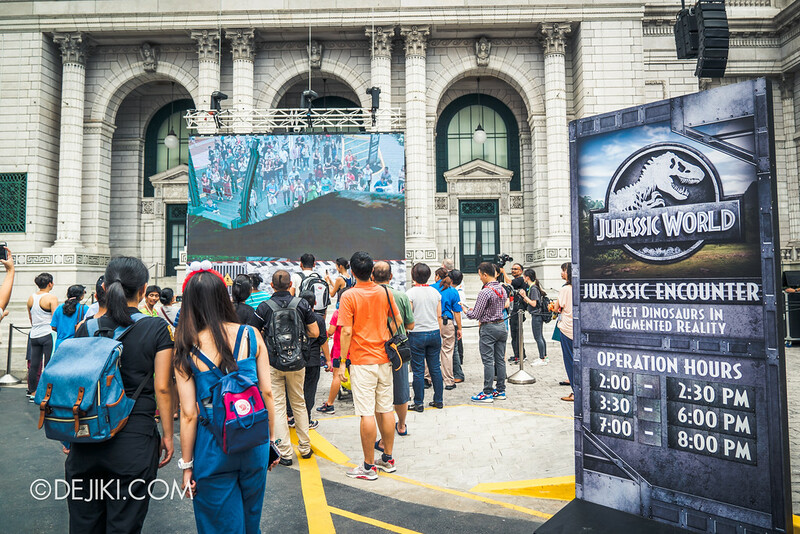 During this event, Singapore residents can enjoy a discounted rate for one-day adult ticket (S$68) and get a 10% retail voucher for Jurassic World merchandise (some exclusions apply). Note: Show Times in this post are indicative only and are subject to change. 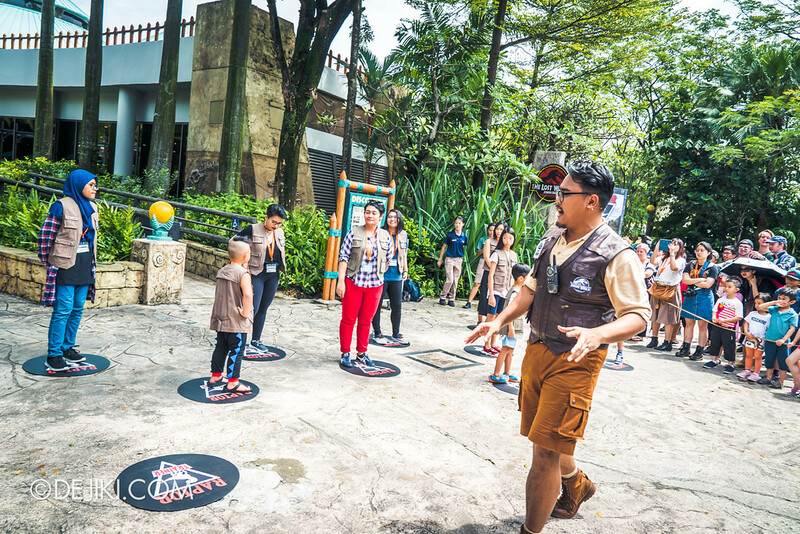 Please refer to the park’s show schedule for the latest times on your day of visit. 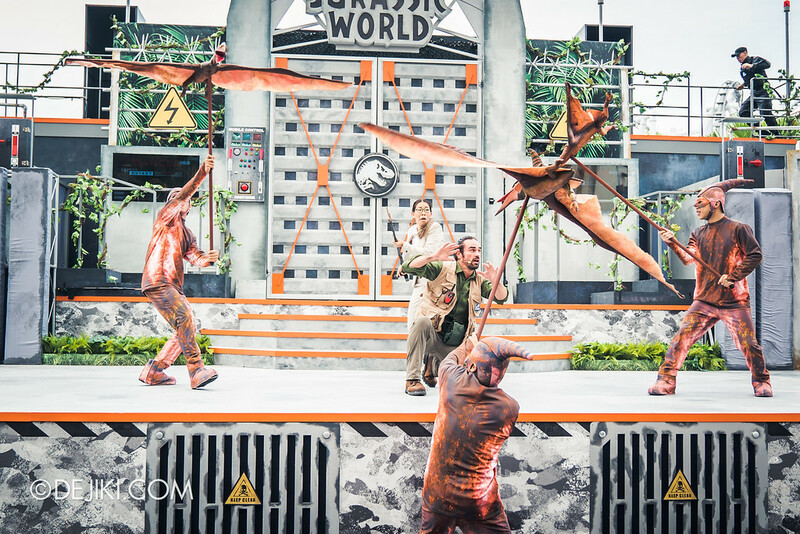 Putting the ROAR to the event is an action-packed stunt show featuring several dinosaurs – Velociraptor, Pteranodons, and even a Tyrannosaurus Rex! Definitely not to be missed! 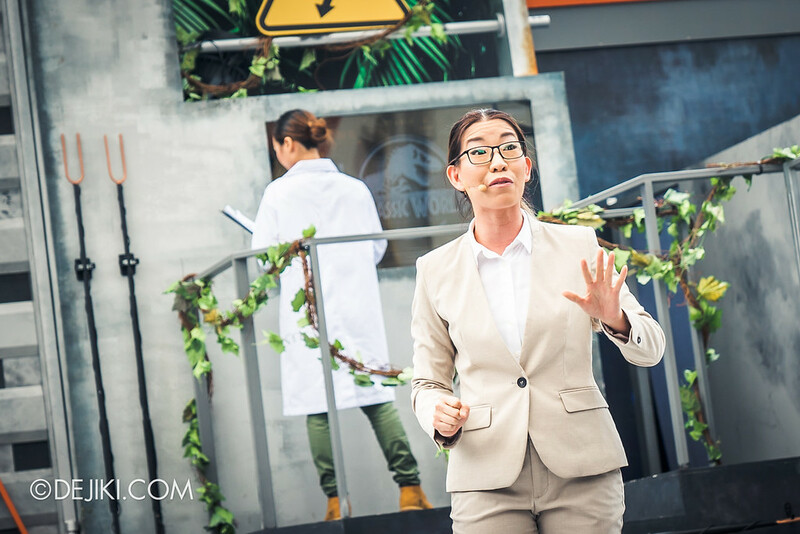 In this show, Masrani Global Corporation unveils Jurassic World at Universal Studios Singapore! 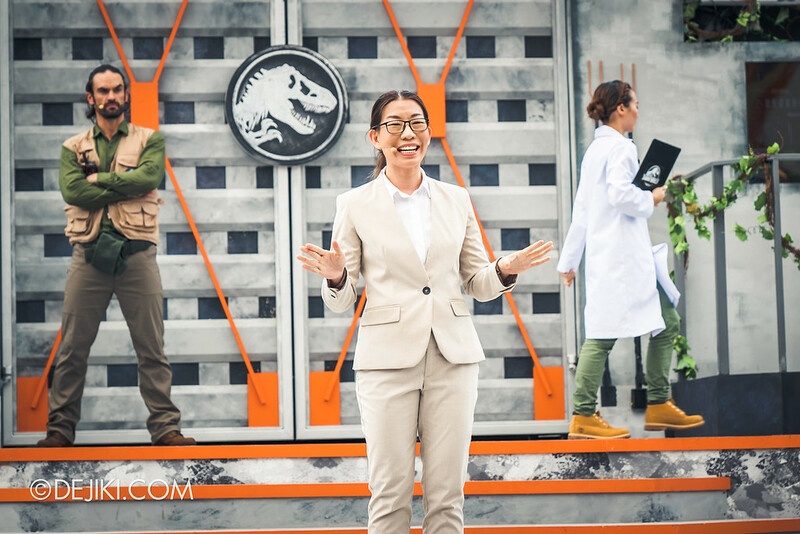 Elizabeth, Jurassic World’s Park Operations Director, proudly announces the park’s newest achievements. 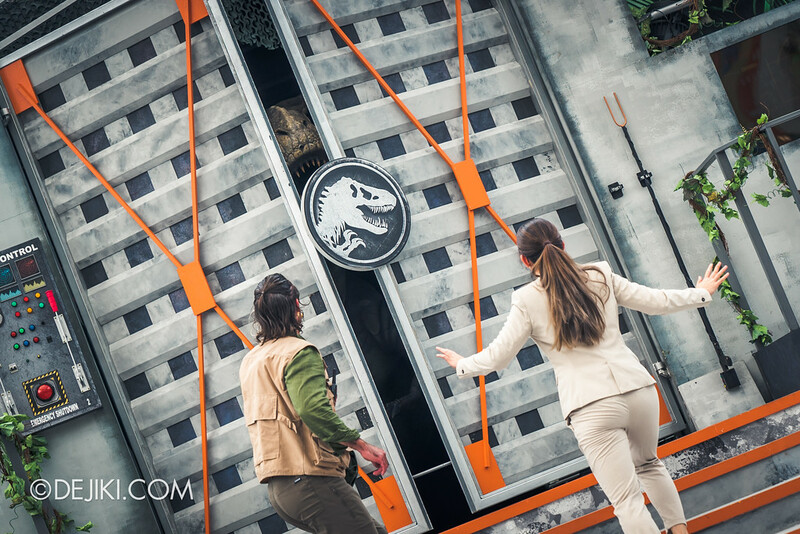 With the brand new, safe, reliable portable containment units, you can meet dinosaurs up-close. 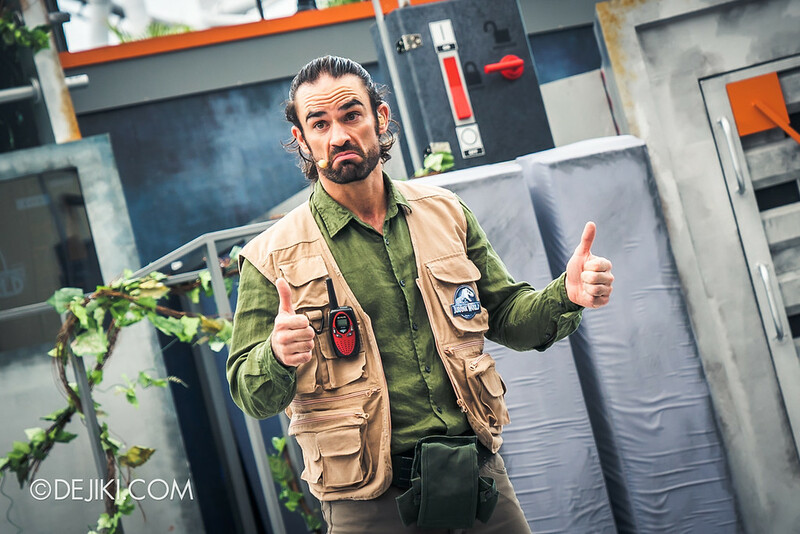 According to Miles, Head of Security at Jurassic World, that sounds good. But enough talking – a volunteer was asked to come and give the features a go, dropping a tasty bundle of meat into the enclosure. After the kid helps out with feeding, a lab assistant accidentally trips and pushes an emergency shutdown button, unlocking multiple enclosures. 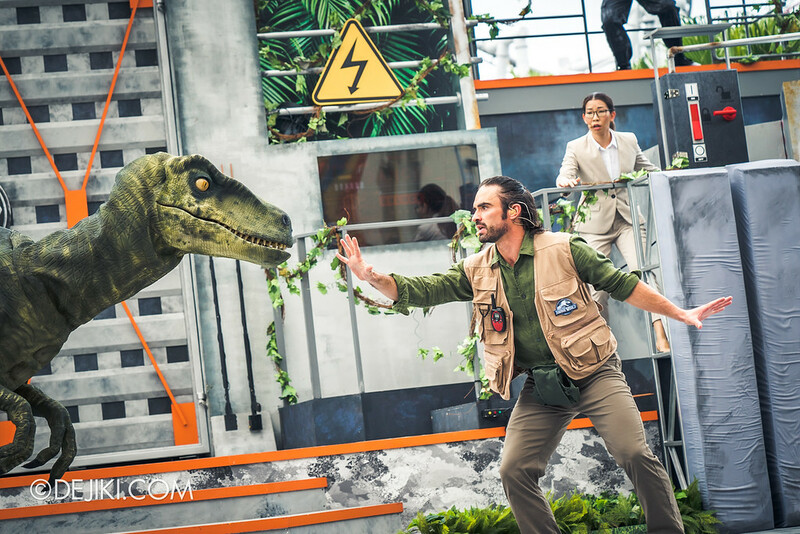 Thankfully, Mile’s quick use of the clicker and hand signals calmed the raptor down and it was brought back to its containment unit. Oh no! 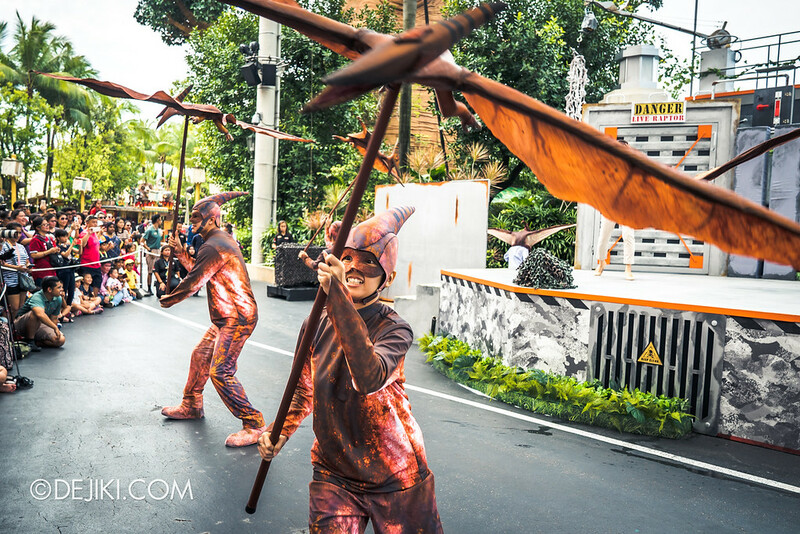 Pteranodons have escaped! 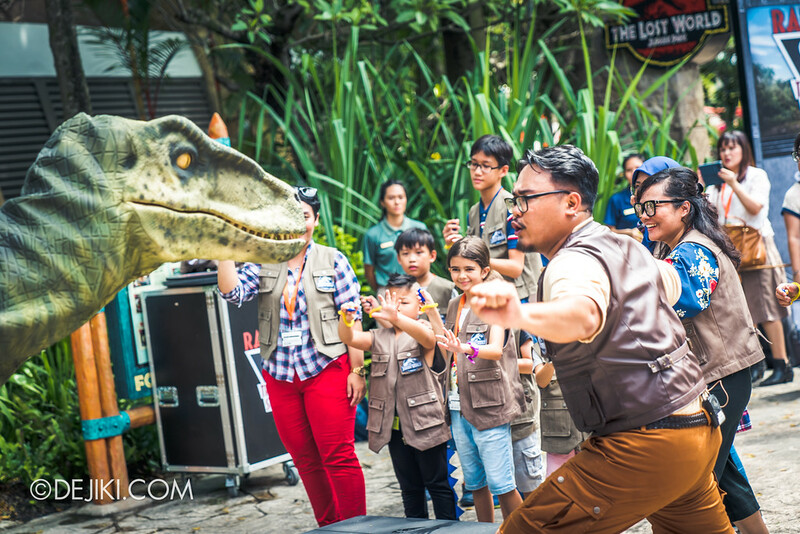 And here comes the Tyrannosaurus rex! Fortunately, Elizabeth was able to override the security system at the last minute. 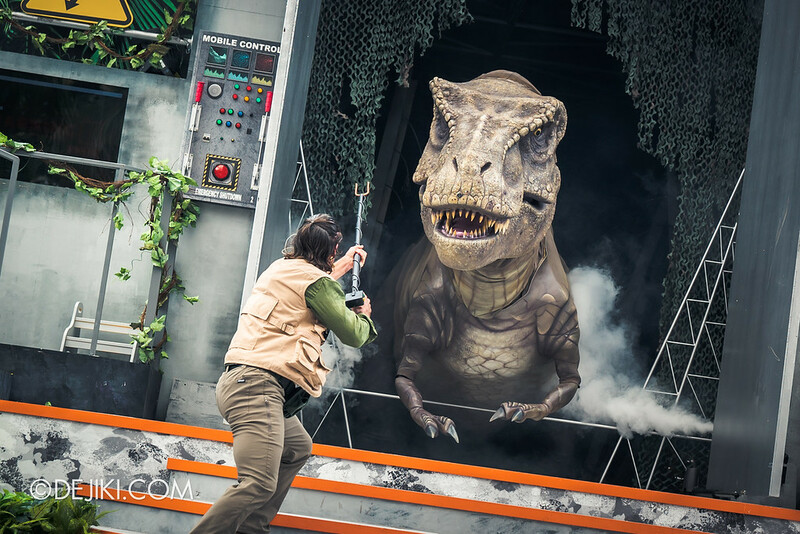 Stick around for photo opportunities with the show’s stars, including the T-Rex! 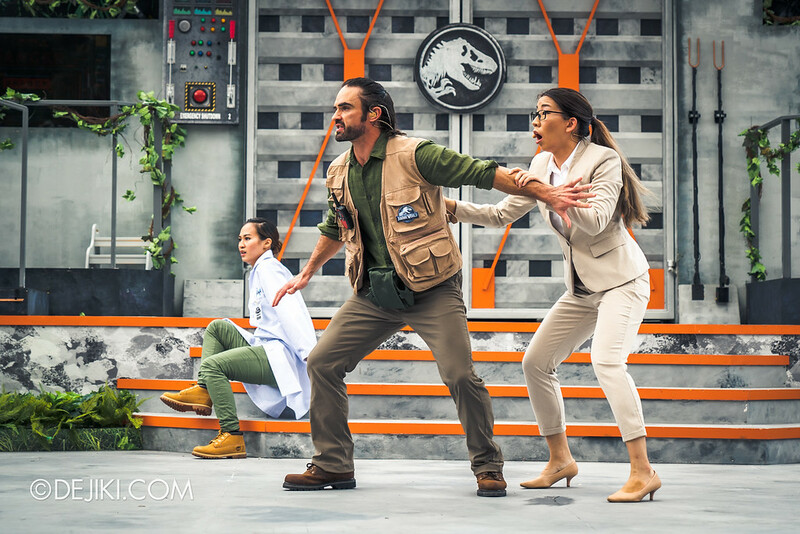 For an original show in a temporary setup, this show (and the entire Jurassic World overlay) was quite a pleasant surprise. 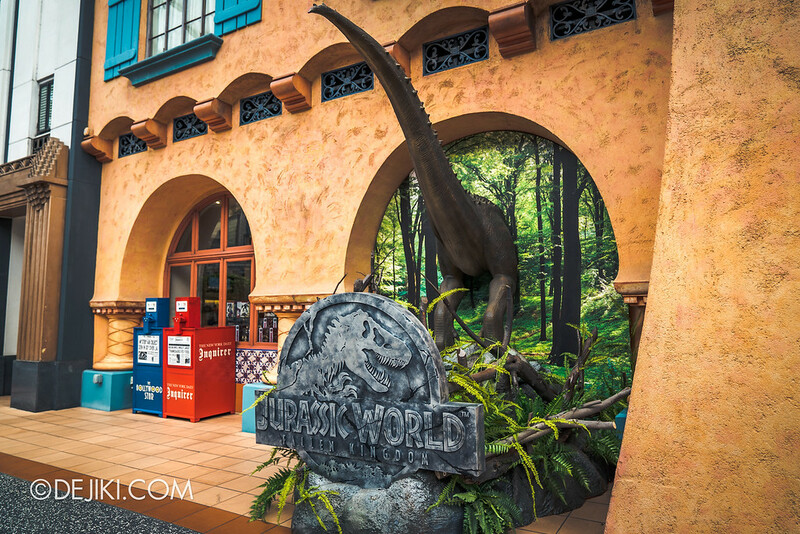 It felt like it belonged in this park, if only there was some space at The Lost World to keep some of this ideas into a permanent show. 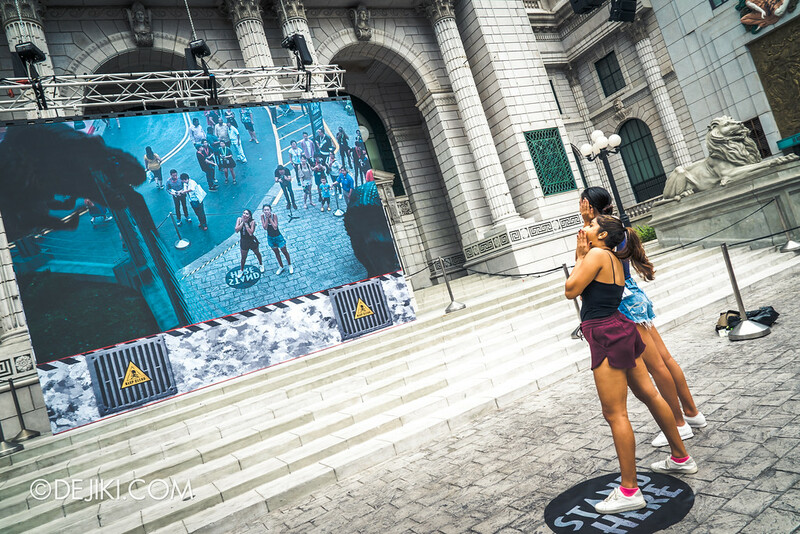 Some of the stunts were not performed during the media preview, so do check out the show when the event starts for the full experience! 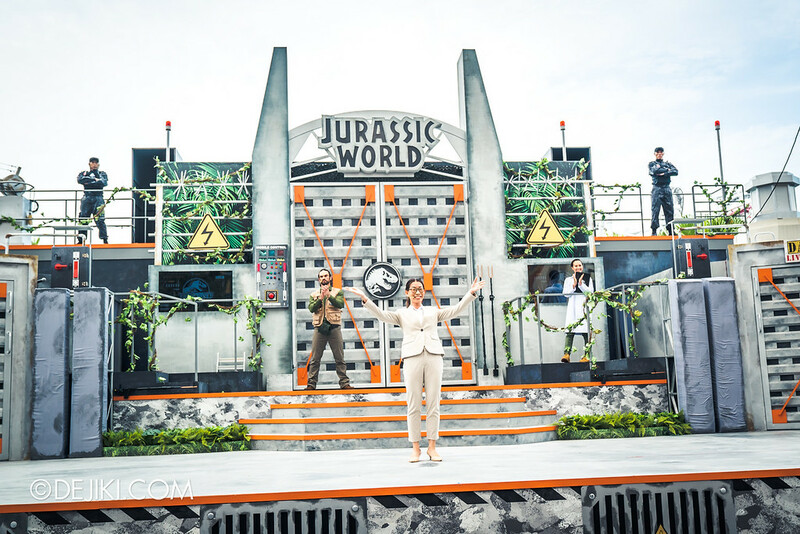 Also, I heard that the Tyrannosaurus rex puppet from the park’s parade was used for this show. If you look carefully you can see some parts of the float behind it. 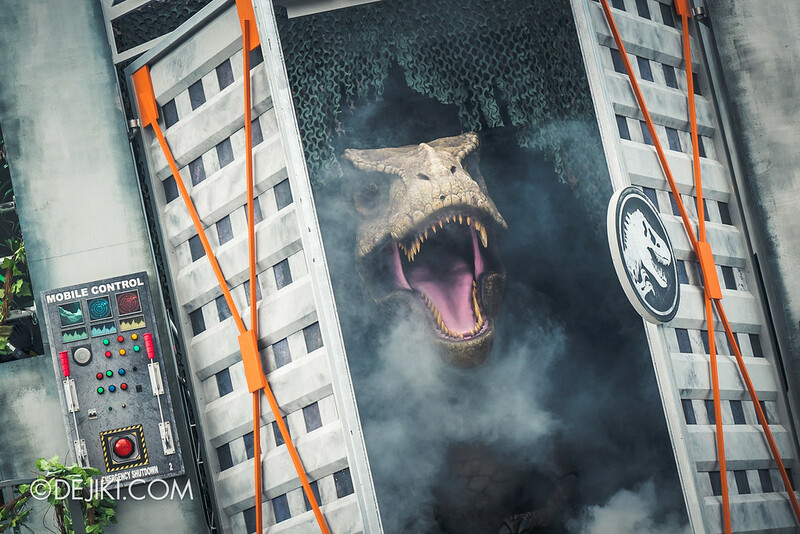 Missing T-Rex float mystery solved. 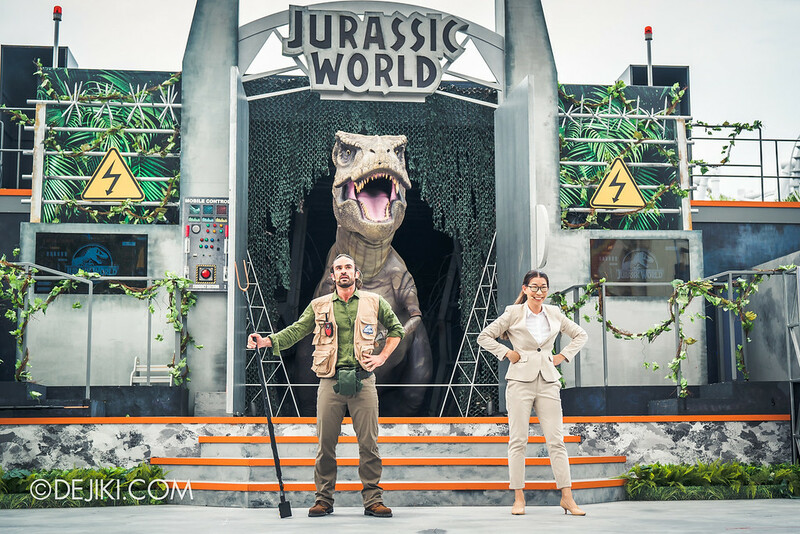 Stand among dinosaurs with the safety of augmented reality – happening at the New York Library stage for several times a day. You can also buy prints of your encounter after the experience! 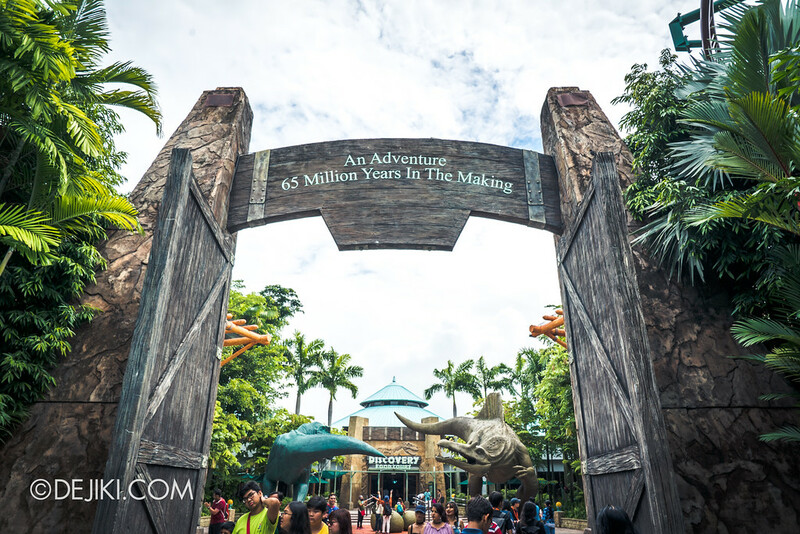 Note: To experience this attraction, you may need to wait in line during peak periods. Remember Val and Wyatt? 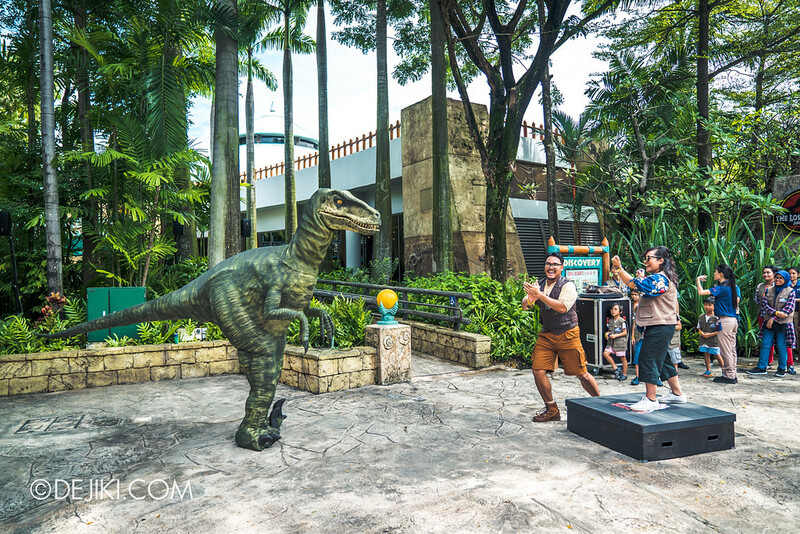 Now that they’re back at Universal Studios Singapore, you can finally get the chance to interact with a Velociraptor and learn the skills to train one. This is a free attraction, but it has limited slots. 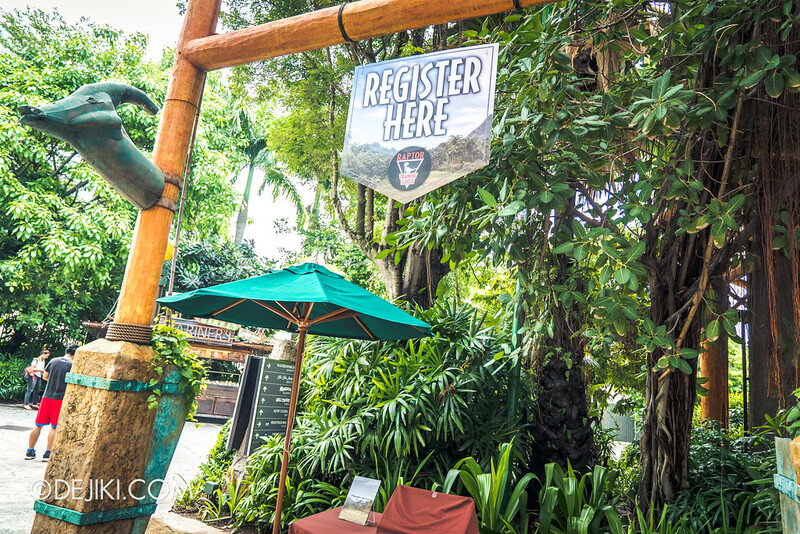 Registration before each show time is highly recommended. 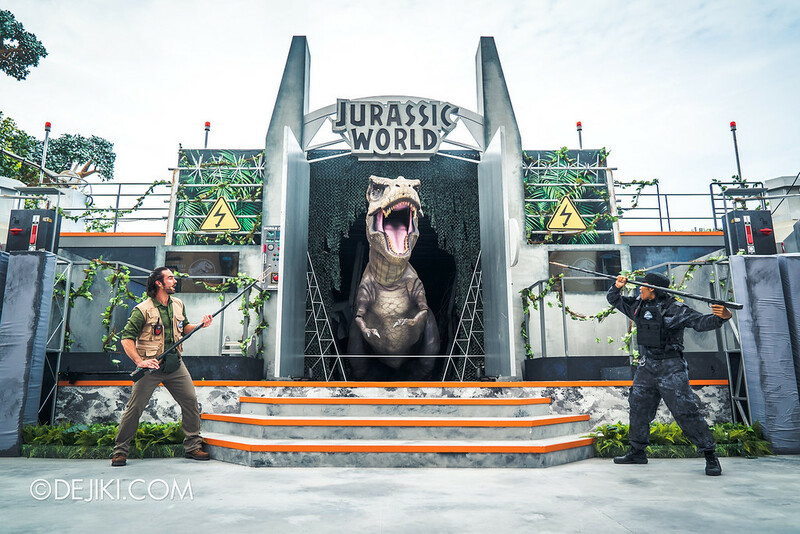 The experience is located outside the Jurassic Park zone, just across from Fossil Fuels (F&B outlet), towards Waterworld and Far Far Away. You’ll learn the differences between 1 click and 4 clicks. 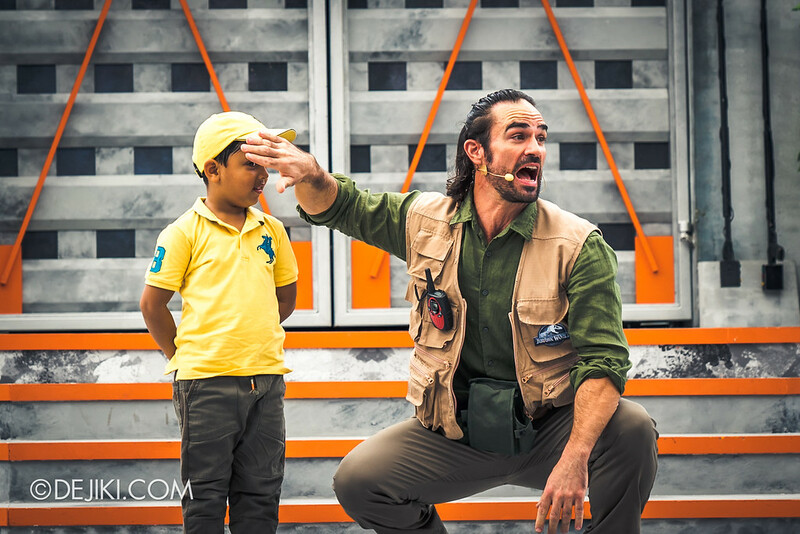 Before bringing in Val the Velociraptor, Wyatt will teach the trainees with the necessary clicking cues and hand signals. 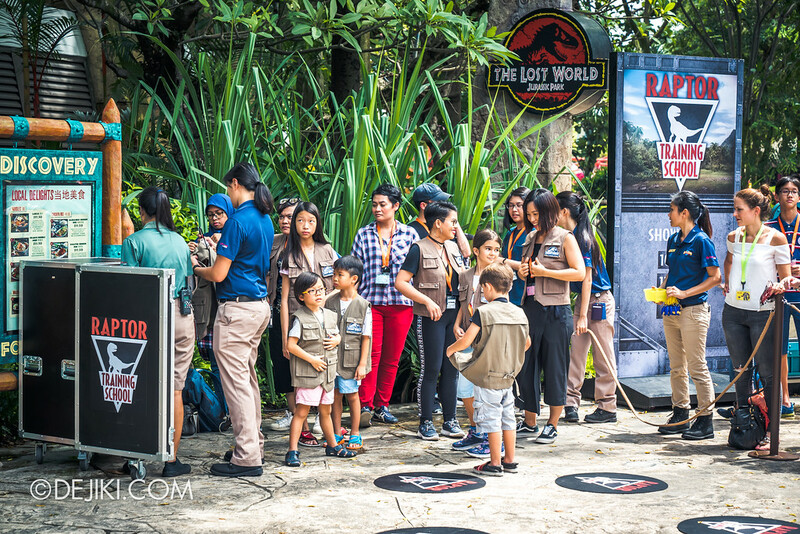 Val is then brought in and each guest will have individual interaction time with the raptor. 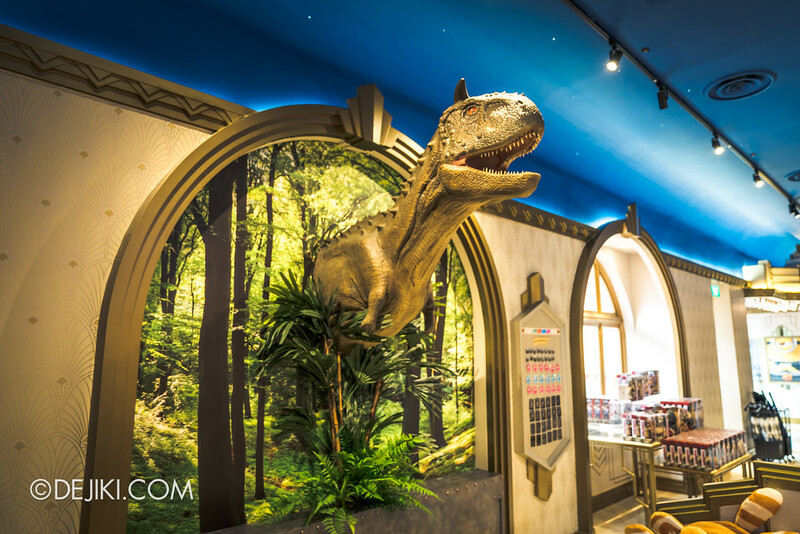 This would probably be fun for the younger park guests, or if you could suspend disbelief for a while. Remember Dr Rodney and Diane? Now you can witness the birth of baby raptors! 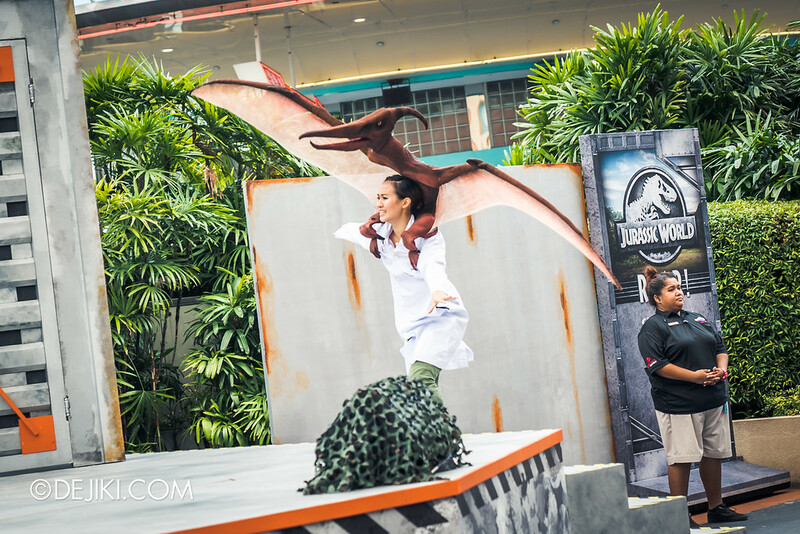 This new permanent attraction will be launching at Universal Studios Singapore from 29 June 2018. 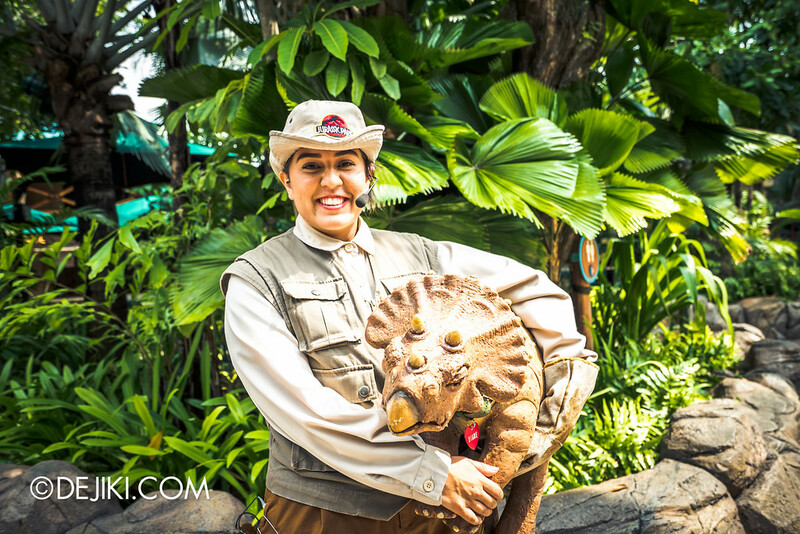 Several dinosaurs have arrived, and you can meet them outside of the new shows and attractions. 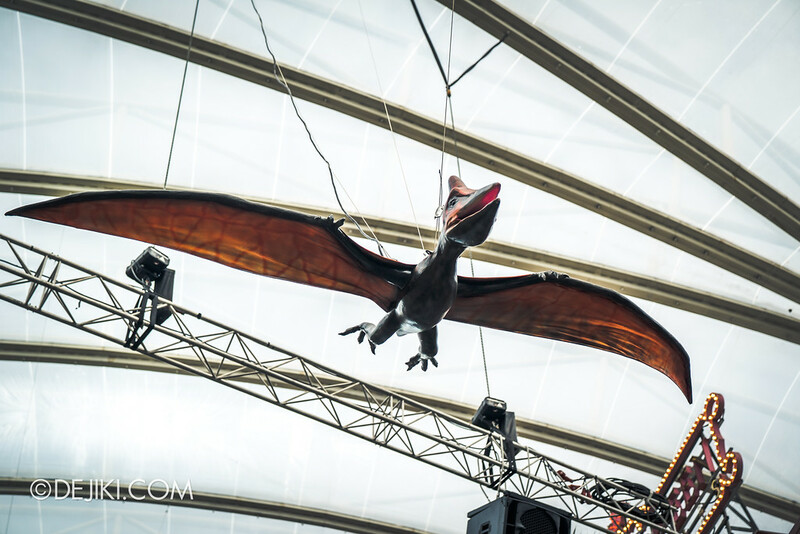 Pteranodons soaring above Hollywood Boulevard – sometimes flapping their wings! 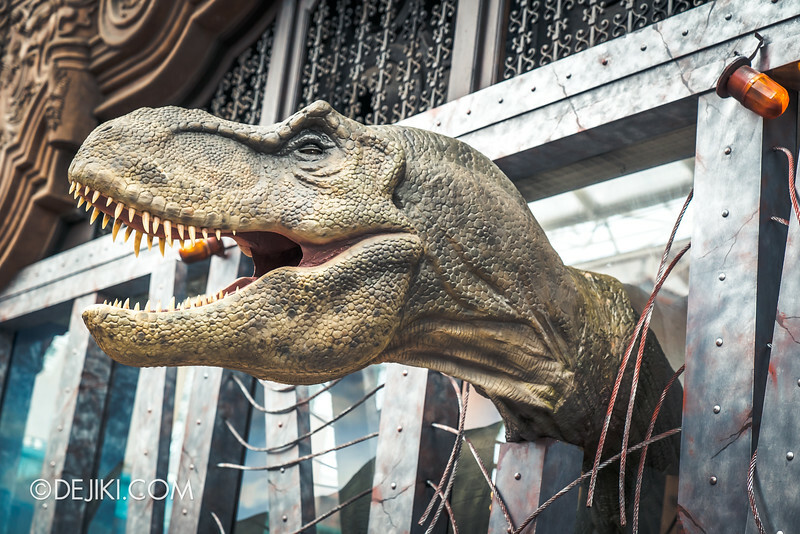 A smaller but still scary T-Rex at the Universal Store display window. 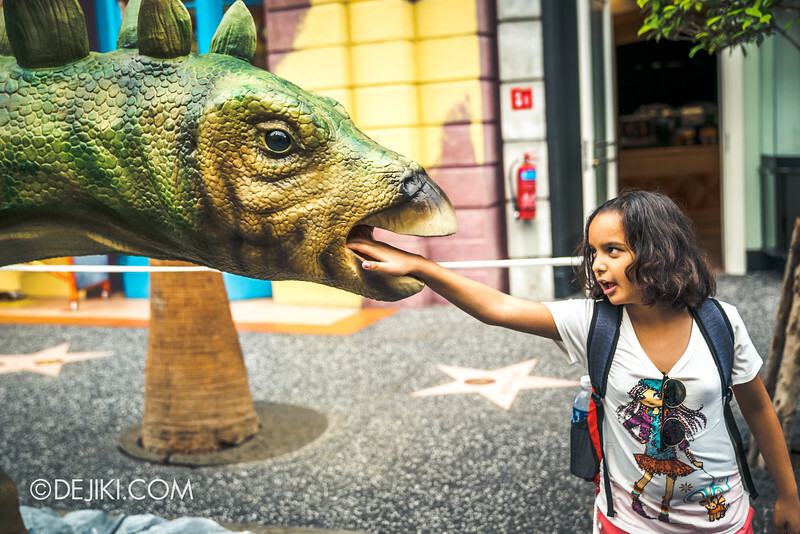 You won’t miss the Stegosaurus on the street – please do not touch or feed it! 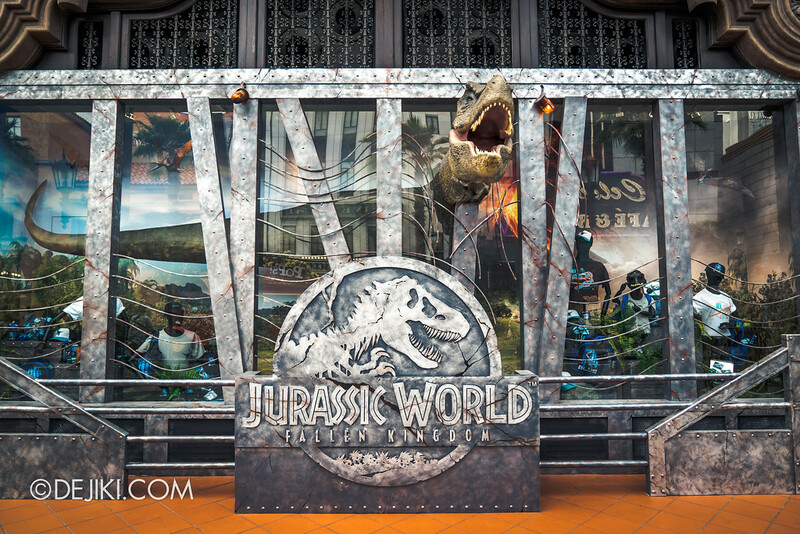 The Gyrosphere from Jurassic World will be added to Hollywood zone from 8 June. 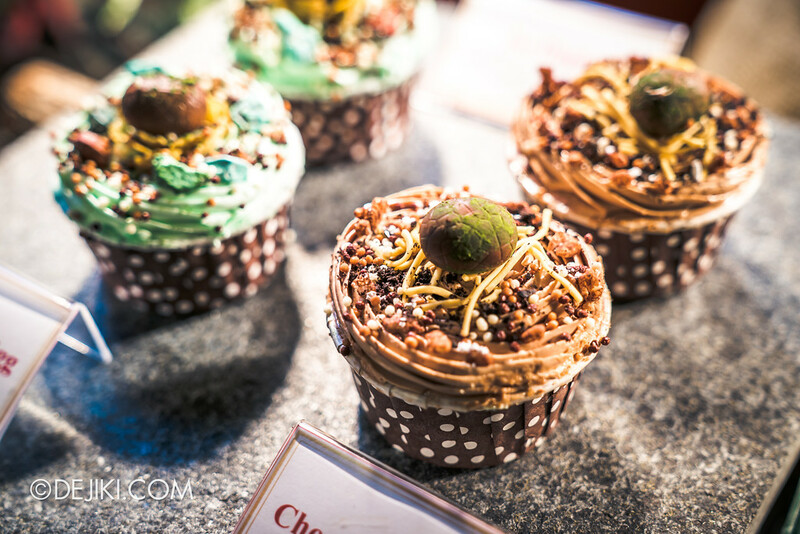 Check out these new Jurassic Grub around the park, available at many of the park’s dining outlets. 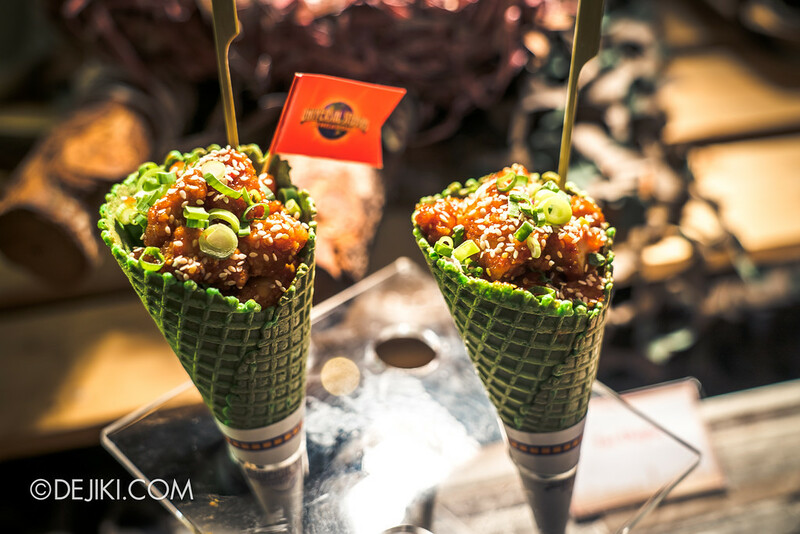 Isla Nublar’s Bloomer (Blooming Onions) now available at USS. 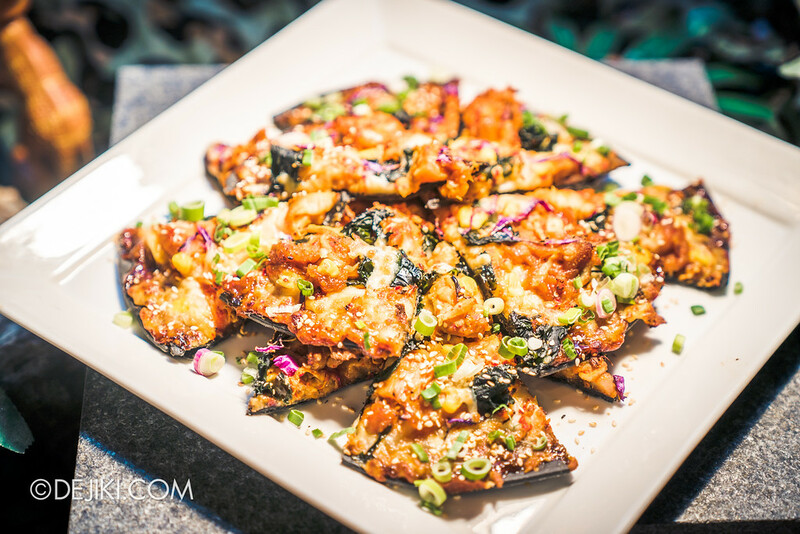 Mount Sibo Flaming Pizza. Named after the active volcano on Isla Nublar. 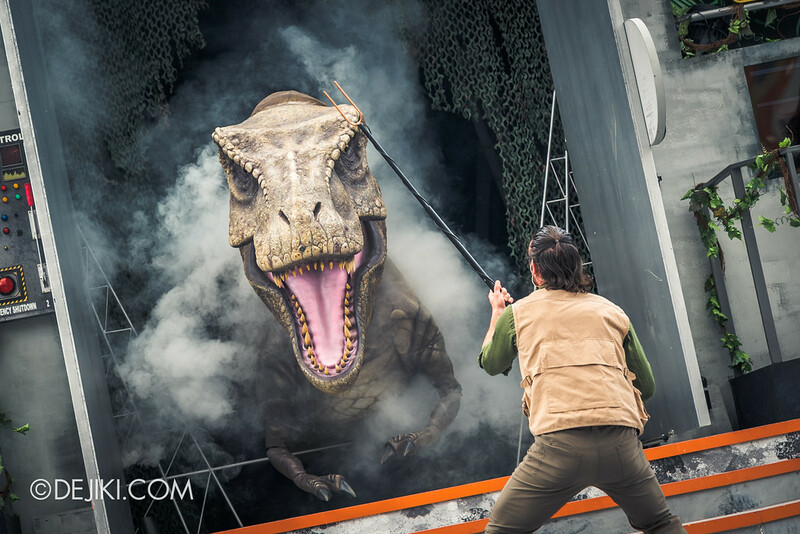 It’s the one that’s going to explode in Jurassic World: Fallen Kingdom, right? 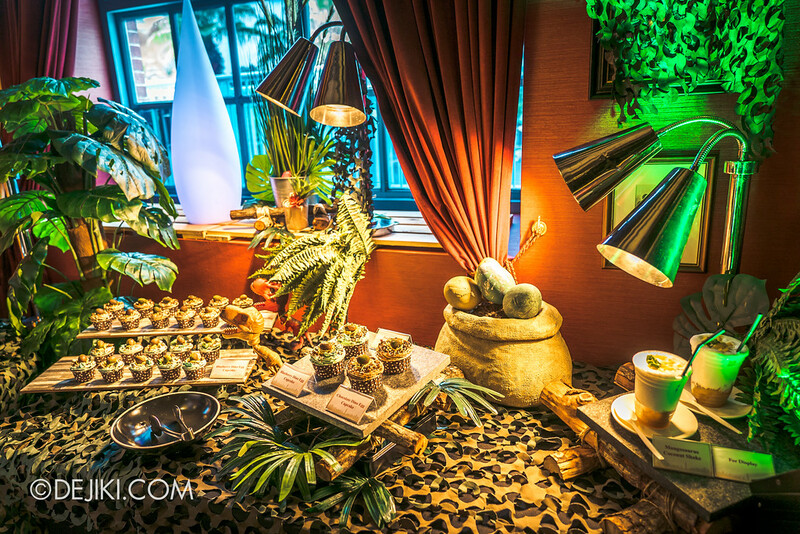 And basically a lot of other dishes that are given Jurassic names. 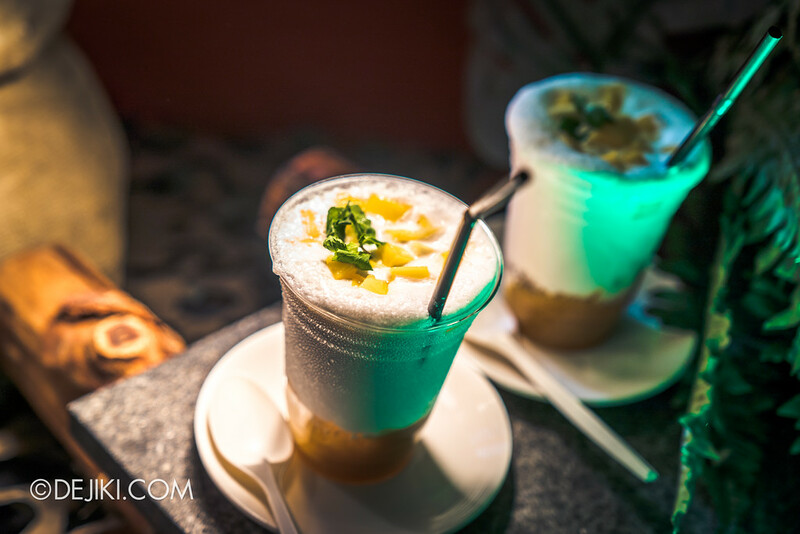 Mangosaurus Coconut Shake. This is pretty good. 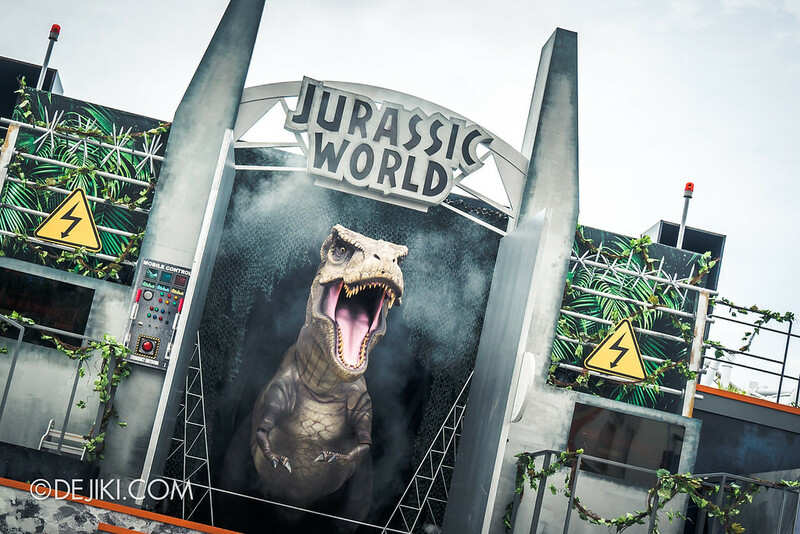 Any thoughts on Jurassic World: Explore & Roar? 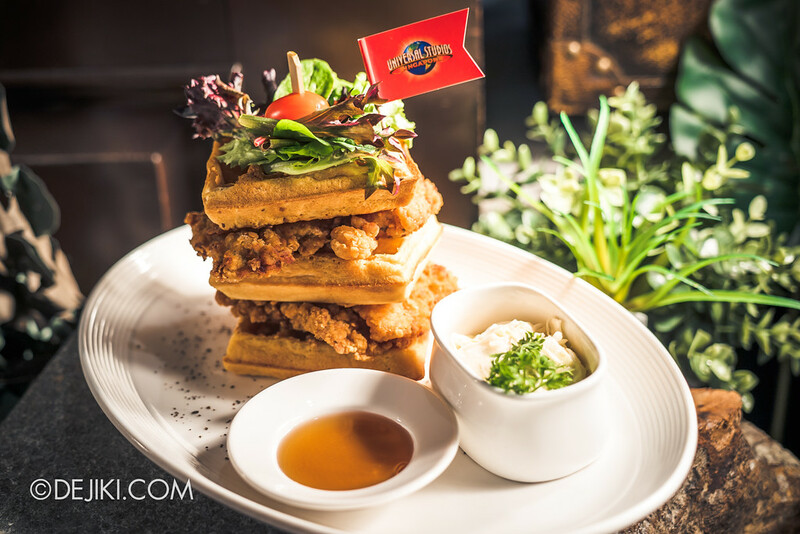 This event will be held all the way till 22 August, so we’ll all have plenty of time to experience it. 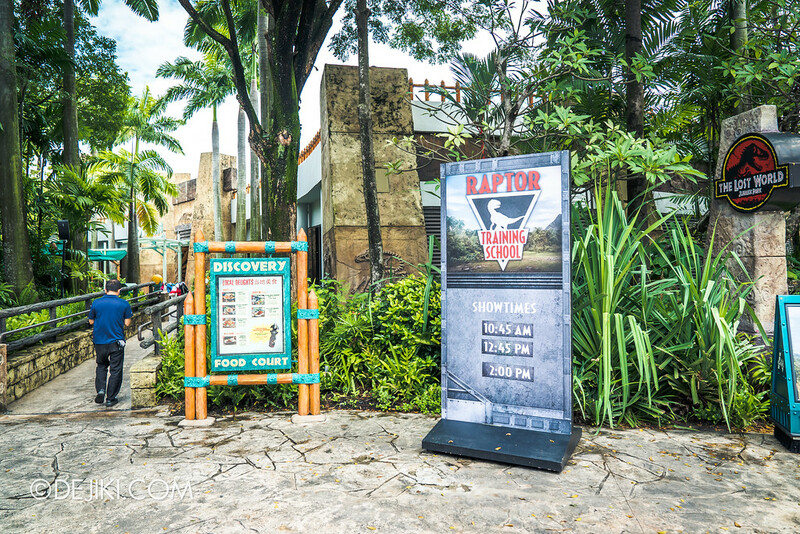 hmmm… T-Rex and Pteranodons recycled from HDP, and the Raptor suit looking like a much inferior version of those used at other Universal parks. I had high hopes for this seasonal attraction, but it seems like a slapdash job. 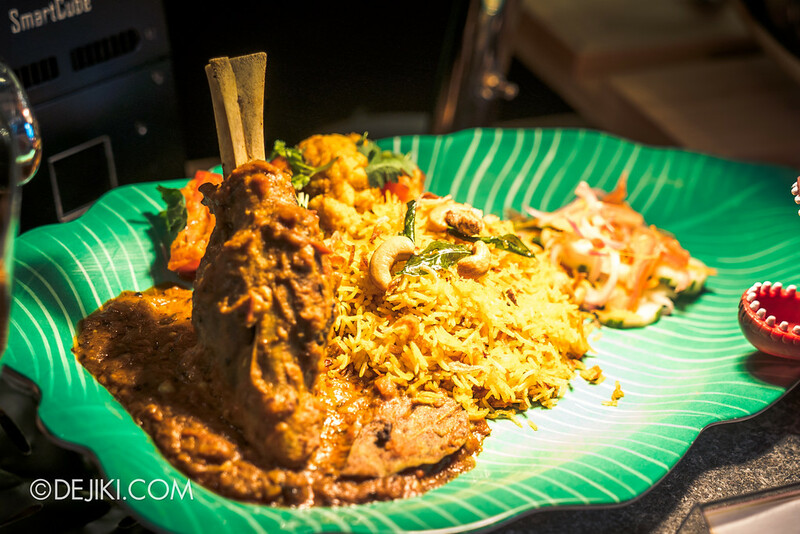 The food does look good though, and the discount voucher for pass-holders is a nice gesture. 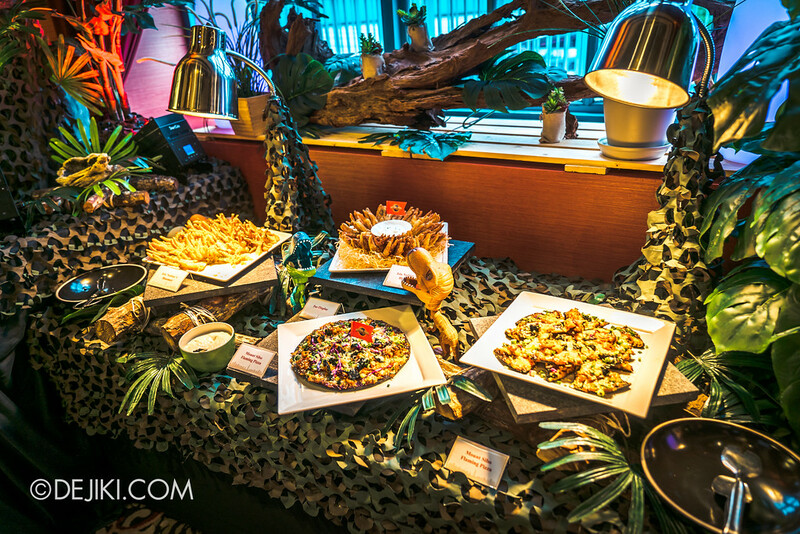 And i like the foods, esp Mount sibo flaming pizza and mangosaurus coconut shake. 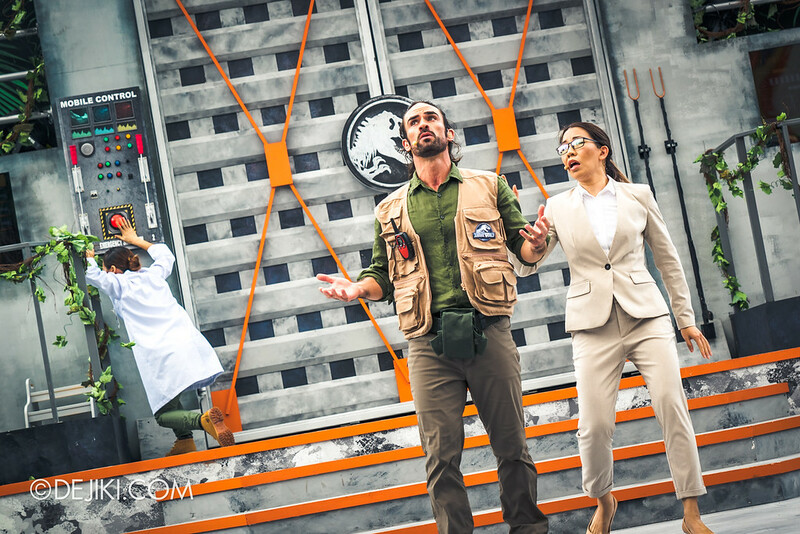 Good article and nice to know you dejiki.Btw, i am the girl in the last two pictures about raptor training school. May take some for my own collection please? No worry, i keep your copy rigth if i use it in my social media or my personal website. If you don’t mind, please send it to my email chay_smjt@ymail.com . Thankyou somuch.